Grass Roots Inc is your local landscape design contractor with the talent and skills that can help you transform your property. Any corner of your yard can be converted into a contemplation garden, a place you can go to renew your soul and step away from the mundane. Our customers spend more time relaxing and entertaining out of doors when the grounds are in top shape. The Grass Roots Inc. team can transform your back yard patio with pavers or brick, natural stone hardscaping, water features, dwarf specimen trees and beautiful border plants. 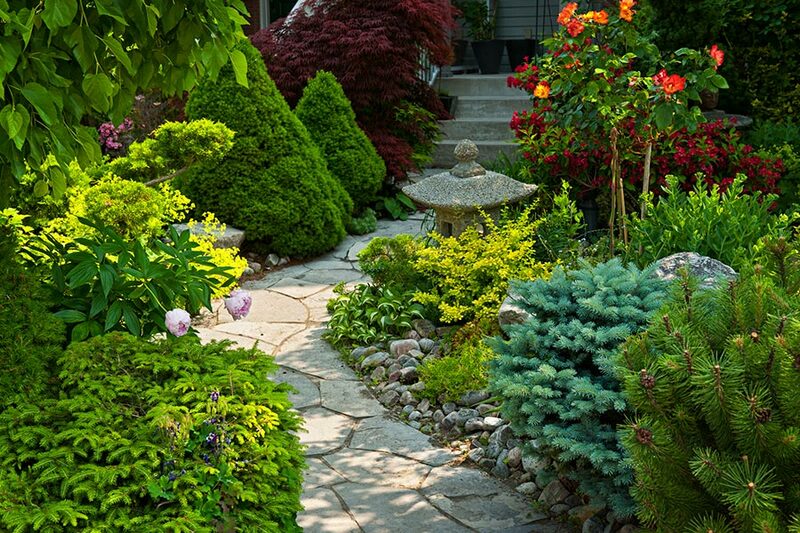 We are landscaping design experts and can show you how to improve the usability of your back yard or your patio area. We can work with you to design an alternative to a lawn, making a restful and inviting oasis for family gatherings, neighborhood entertaining, and leisure activities. Grass Roots Inc. also offers long-term grounds maintenance, lawn maintenance, pruning and yard cleanups. Whether your landscape requires a major overhaul or could benefit from seasonal maintenance, speak to the friendly staff at Grass Roots. We will show you the best way to plan a landscape treatment that suits your needs and will fit your budget. Grass Roots Inc is a full-service Connecticut landscaping company serving greater Fairfield and all the towns in Fairfield County CT. Among the services we offer are landscape design, property maintenance, lawn care, pest control and more. Bring color, interest and appeal to your front yard, or enhance your patio area with natural stone or pavers. Our professional design team will add beauty to your yard with unique features and treatments that enhance your property and set it apart, to reflect your personality. We believe our commitment to customer relationships sets us apart from the rest. You can be assured that Grass Roots will only use quality products on your project. When you are ready to get moving on your property’s landscape needs, give Grass Roots Inc. a call at 203-746-6638.